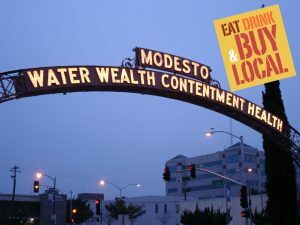 Modesto’s population is approximately 212,175; it is the 18th largest city in California. What does that ultimately mean? 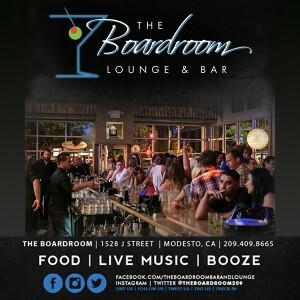 There are a lot of people living in and around Modesto. Statistically, about 68% of what you spend locally is invested back into the community. Remember that statistic. Independent retailers return into the city more than three times as much money per dollar of sales than chain competitors. How can we grow our local economy? What I am suggesting is if we all switch our spending, even just a little it will add up to a considerable impact. $5 a month the price of a cup of coffee at one of those corporate cafes is all I am saying. That minute amount adds up in a very noticeable way. Everyone has to eat; we all have different tastes and opinions on what it is but we all like food, and some love it. But not everyone that lives in Modesto is in a position to spend $60 a year on going out to dinner. Let us remove the very young and old and the unemployed that is somewhere around 40% of Modesto’s population. Let us for good measure and to make it easier round that number up to 50%. 50% is 106,087.5. That is still an incredible number of people. If each of us spends just an average of $5 a month at local Cafes, Diners, and Restaurants, that amount adds up to $530,437.50 a month. In a year, that comes to $6,365,250.00 what a generous amount of money to invest back in our City. You get a great night out or a relaxing lunch. True Value for your expenditure. Remember I told you to not forget about that statistic of 68%? Those local businesses you are supporting spend a significant amount of that back locally in your shops and restaurants, employee your friends and family. That is an extra $4,328,370 going back into the local economy. That is over ten million dollars going back into our city, $5 dollars at a time. Now that extra $5 a month can be spent with local artists or musicians, at the local hardware store, or farmers market. Just pledge to spend a little more with your friends and neighbors and less at the big box stores or chains. The Holiday Season is upon us, Gift Certificates to places that host Live Music make fantastic gifts. Pledge to go out and support your Community not just now but all through the year. Together we can make an incredible impact.